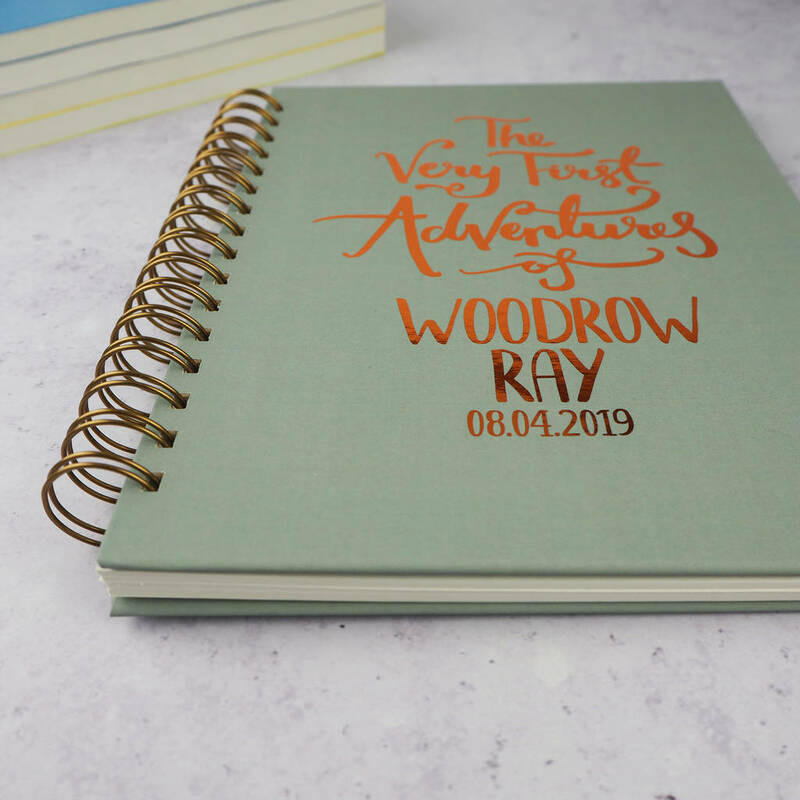 A Memory Book displaying the statement, "The Very First Adventures of" and then personalised with an adjective, name and date of your choice. A lovely choice for new mums. 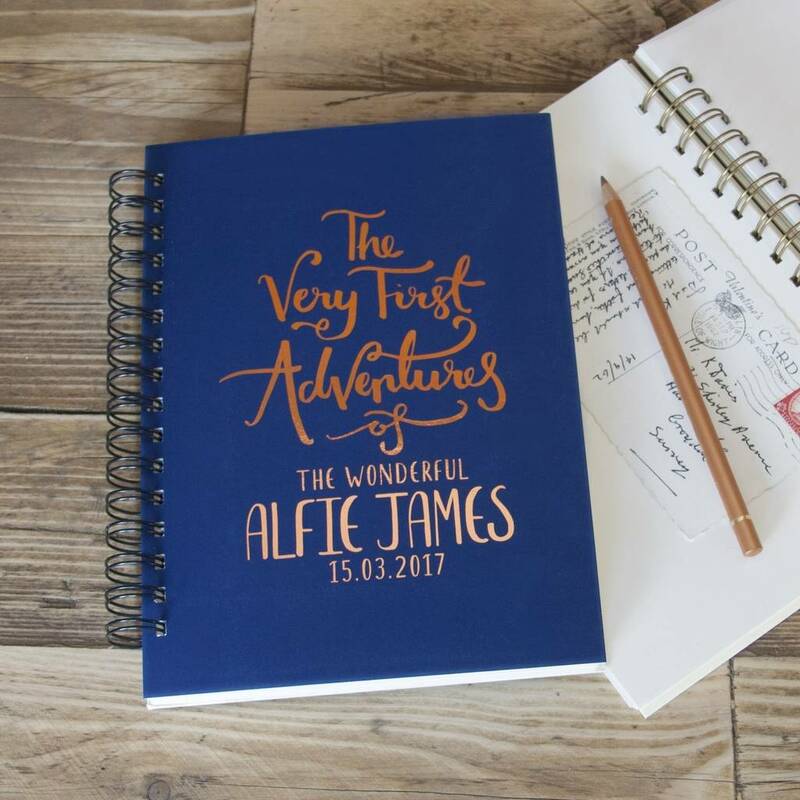 Fill the book with letters, photos, notes, tickets, cards - anything that tells the story! 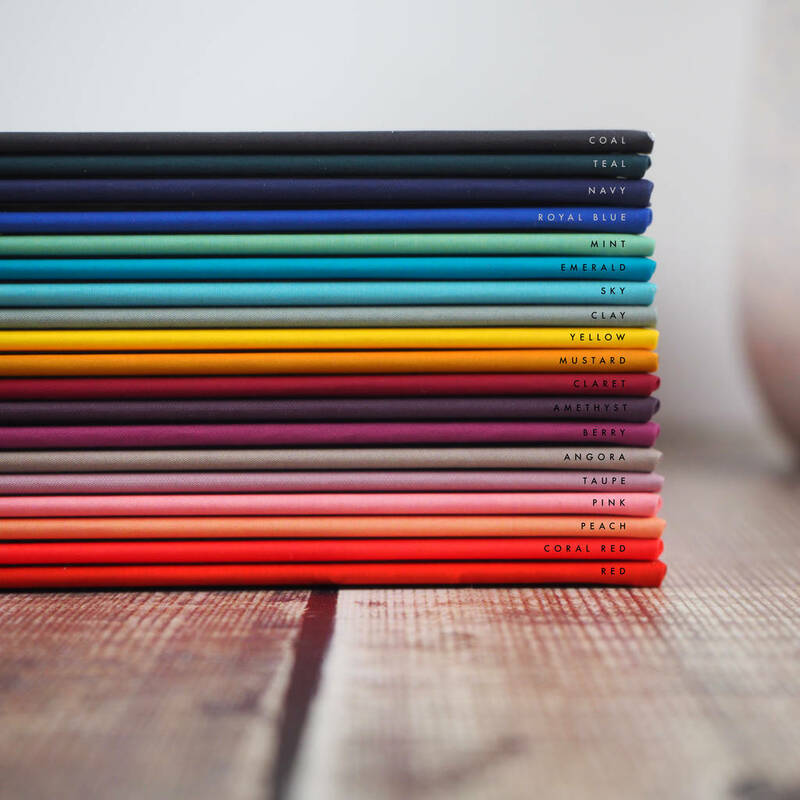 Everyone loves a good notebook, but we all use them differently so we have a few options for you to pick from. You can have the book filled solely with plain pages - perfect for drawing, writing or sticking photos onto. 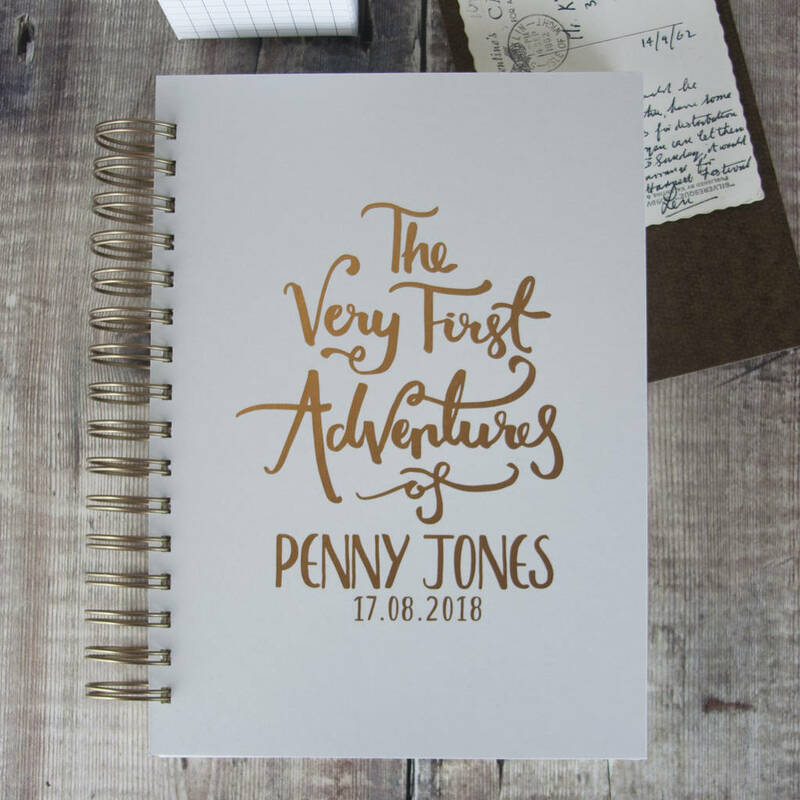 Alternatively, you can add in translucent envelopes which are fantastic for collecting and displaying momentos, such as photos, letters and tickets. 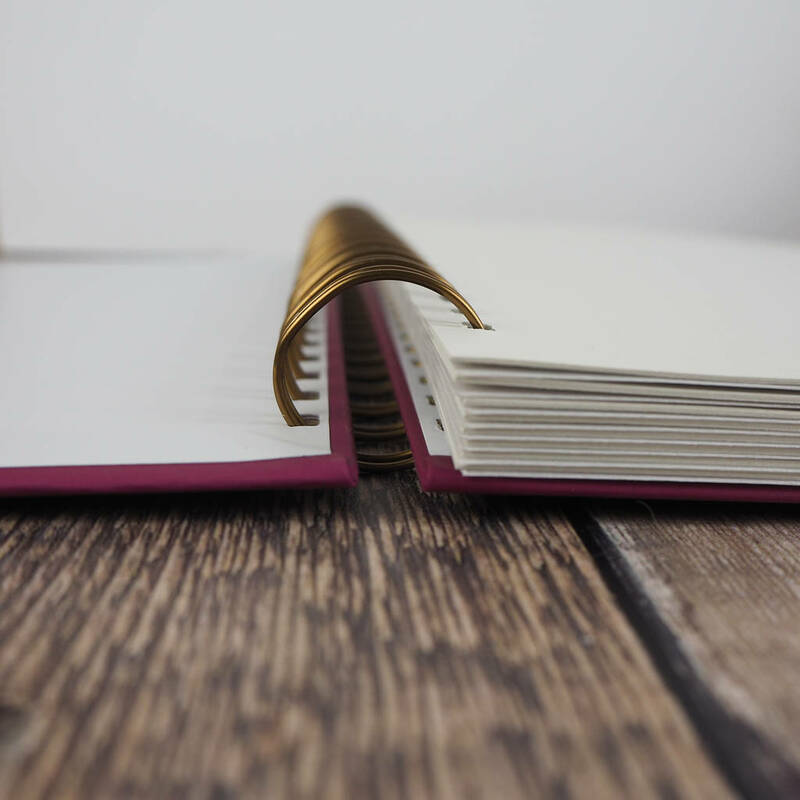 For the options which include both pages and envelopes, these will be evenly alternated throughout the book. 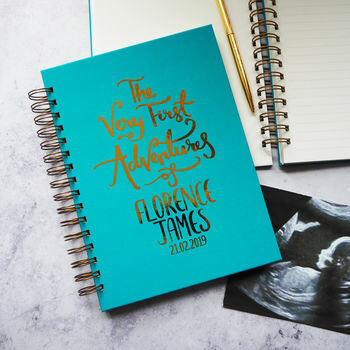 Fill it with your collected items from your pregnancy and early baby years - such as ultrasound scans, yours and the baby’s hospital wristbands, photographs, tickets from places visited. It also works well to collect your research items, such as newspaper or magazine clippings. 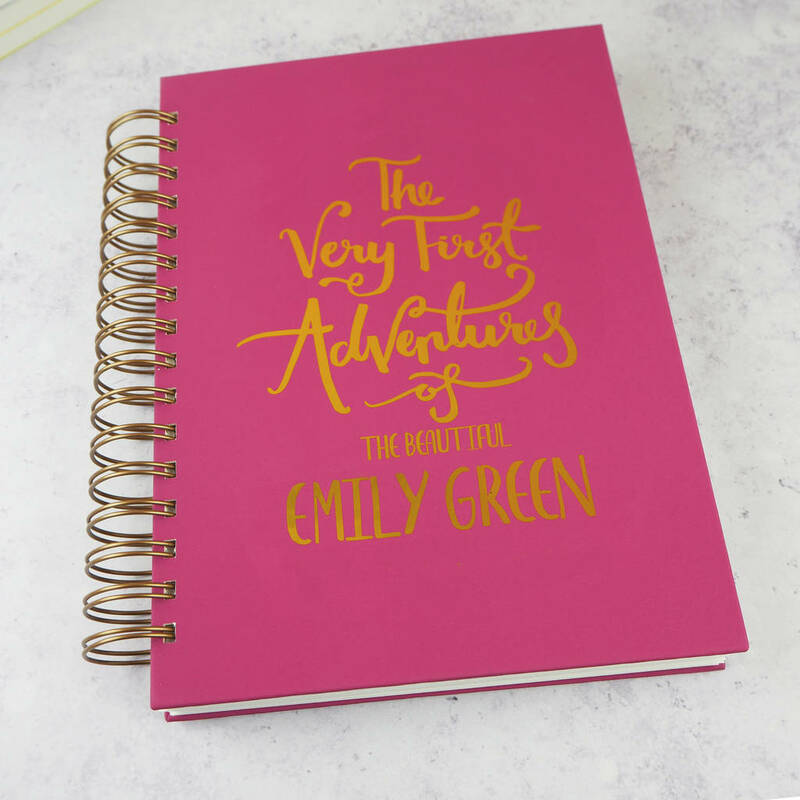 For the inside pages, we use a 115gsm, 100% recycled uncoated, natural white paper. It is made from 100% recycled pulp. The envelopes are made out of a vellum paper - similar to tracing paper. The book is hard back with exposed edges. 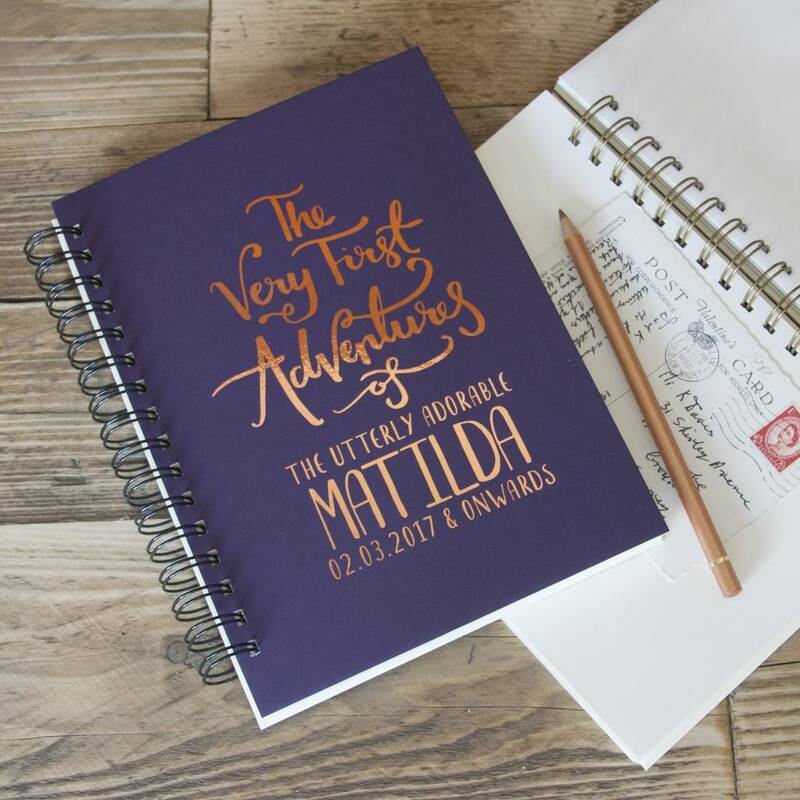 This product is fully produced in the & So They Made studio in Cheshire - from the punching of the wallets to the printing and binding of the cover.